Locanda Cà del Brocchi, a fully restored noble residence in Venice, offers a familiar atmosphere in the typical Venetian warmth of the 18th century. All the interiors are decorated with the Venetian 18th century style wall coverings and embellished with chandeliers, lamps and wall lights in authentic artistic Murano glass. 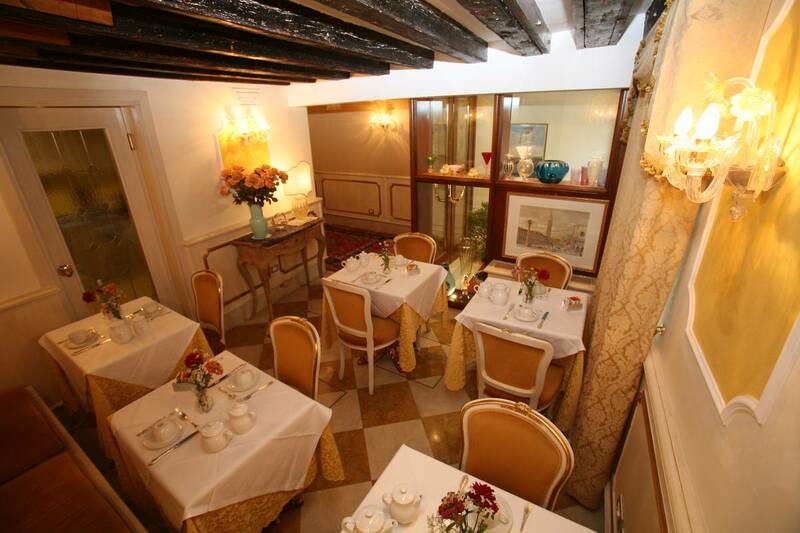 This comfortable and elegant framework, characterized by the original Venetian style, will be the perfect starting point for your discovery of Venice and the better way to start your day will be our breakfast, included in the price and served in our comfortable breakfast room from 8:00am to 10:00am. PLEASE NOTE: the Locanda reception staff is present until 6:00pm. To check-in after that time please call one of the numbers that you can find on the entrance door and someone will be there in a few minutes. Accepted credit cards: VISA and MASTERCARD. We don't accept American Express.